Pacific Elite offers training for all critical elements of all-star cheerleading! Classes are added periodically, so check back for more offerings in the future! 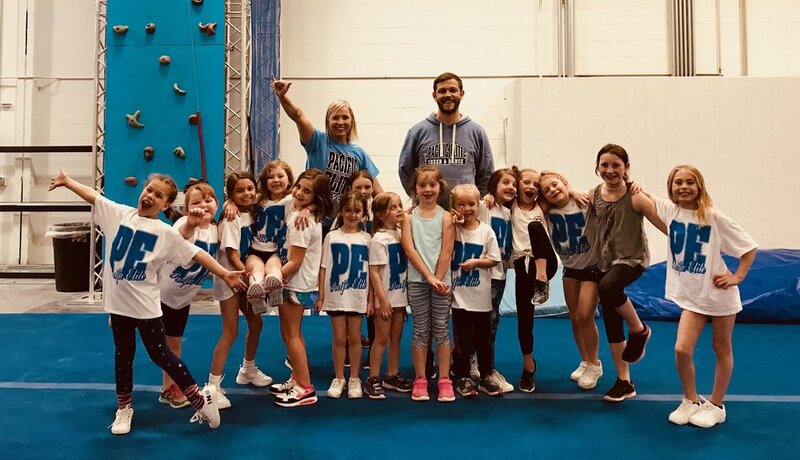 Our Cheer Basics Classes are structured to teach entry-level cheerleading skills to new athletes, including motions, jumps, dance, tumbling and stunts. Class attendees will learn a full performance routine throughout the course of the session, and will perform for their family and friends that last night of class. We offer tumbling classes for all levels! Everything from Tumbling Basics for brand new athletes, to Level 5 for advanced tumblers working on fulls. Our tumbling classes are offered on a quarterly basis, and athletes will be bumped up as they progress through levels. We offer special stunt clinics and classes periodically throughout the year, with a focus on key techniques and training regimens that you can do at home to improve your stunting abilities! Whether you are a base, back spot or flyer, we train you to excel at your job and maybe even learn a new position! Sign-up for our 2019-2020 Class Interest List HERE.